A rare, private estate that offers accommodations as a vacation rental. Come and experience Hawaii as few visitors can. 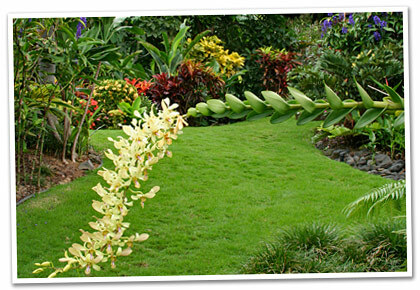 Ho'onanea, which means “without care,” is a Hawaiian-style estate situated on an acre of award-winning botanical gardens on the Kona Coast of the "Big Island" of Hawaii. The estate is perfectly poised to offer an unbelievably beautiful panoramic view of more than 40 miles of pristine, undeveloped coastline, including the sparkling Kealakekua Bay, the Captain Cook Monument to the north, and the City of Refuge to the south. This private setting offers visitors unequaled tranquility and aesthetics.